Early Evening at Cycfi Research, Inc.
Last Saturday, I got invited by the man behind the Cycfi Alpha, Mr. Joel de Guzman, to visit his facility somewhere in Quezon City to discuss ideas and possibilities regarding music as well as the innovative projects he undertakes. Realizing that this was one of those opportunities that I should not miss, I gave Joel my schedule and when I would be able to go visit. Fast forward to around 5:45 p.m. yesterday, I was with my son at the gates of what appeared to be a 21st-century-state-of-the-art residence, complete with tight security, a laboratory, and a properly built and well equipped studio. The first impression I got was he pushed the concept of SoHo to the extreme. The gate was opened and Joel welcomed us into his home office and conference room. Joel de Guzman is one of those rare, forward-thinking individuals. He is an IT consultant, software developer, musician, instrument maker, and open-source advocate. It’s not off target to say that he’s the local Bob Moog. 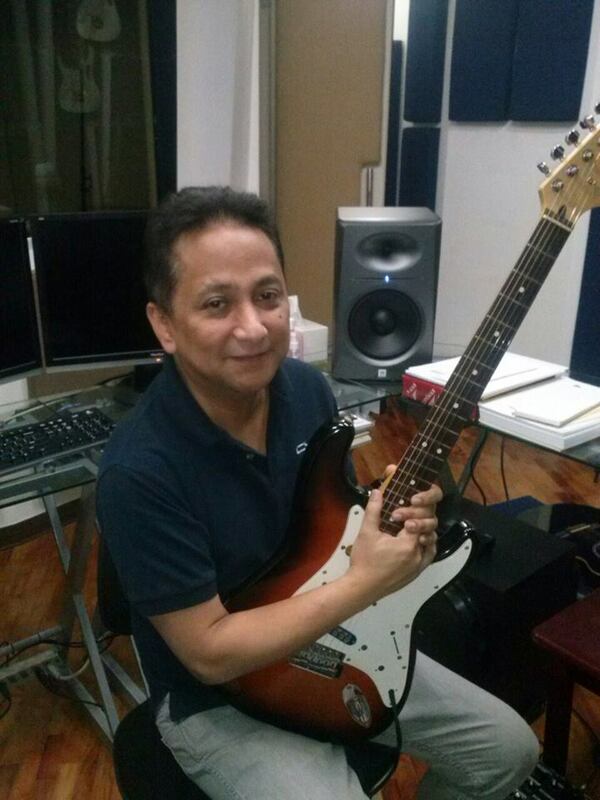 He strongly believes in give-and-you-shall-receive philosophy so much that he posts his designs and concepts freely on the web which include his hexaphonic pickup design and the carbon-fiber/glass truss rod. He is a living testimony of a person who has been blessed so much because of his belief in giving. One could easily see that the gates and storehouses of heaven have opened up for him because of his unselfish attitude in life. We talked about a lot of things, mostly exciting and forward-looking ideas for making music. Right there and then, I realized that I was in a presence of a genius. The things we were talking about were mindblowing to say the least. Joel was particular about how he could use waveshaping to explore new timbres and techniques when using the full-range hexaphonic pickup that he has been developing. The math of it all was mind-boggling to me (being a person who has struggled with math) but I guess I had enough knowhow to understand how I could use it. The idea of synthesis using the guitar’s strings and pickups as an oscillator has been expored by a number of other institutions. Companies like EHX have played with the idea by developing the POG and HOG pedals and Moog Music even has its own guitar for that purpose, but Joel made me realize that you could do more than that with his full-range pickup, a parametric EQ, and a waveshaper. He also had the idea of hiring me as his child’s music theory tutor. Sadly, I could not accommodate his request, given the distance I would have to travel to go there and give lessons. After discussing ideas about how we could work together, Joel gave us a tour of his facility. The Alpha prototype was in the process of a paint job so he was not able to demonstrate how it sounded like. 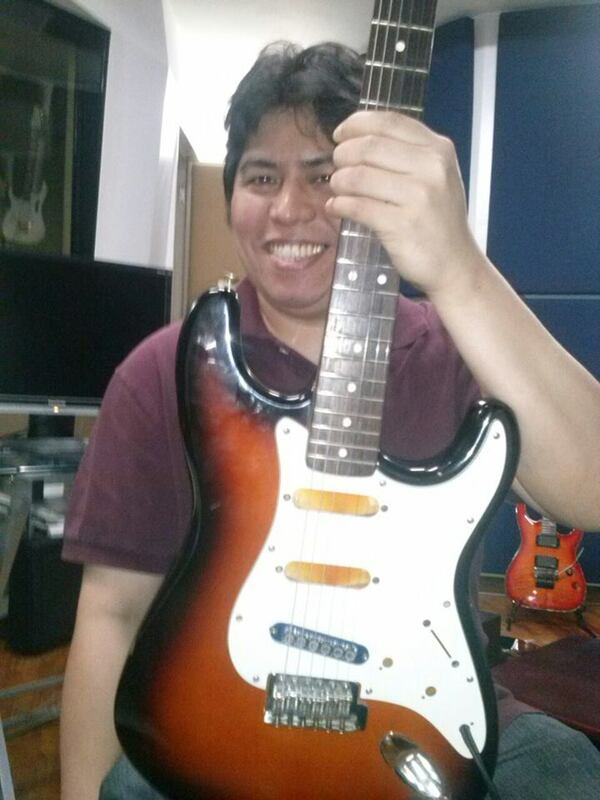 We went into his recording studio and he showed me a Fender Stratocaster with the prototype hex pickup installed. The pickup sounded rich on a Marshall combo that the guitar was plugged into. 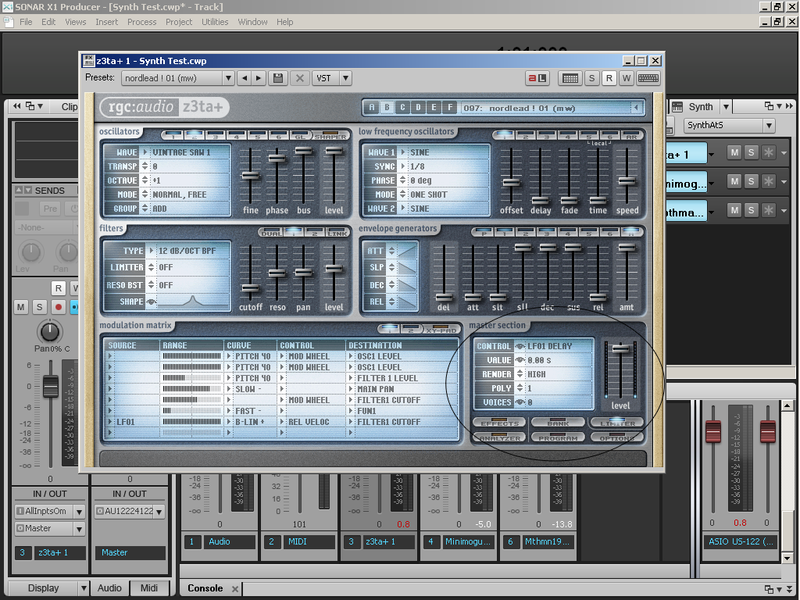 More than that, the hexaphonic output of his pickup was also connected to his Logic Pro based DAW. How it sounded like was something I have never heard on any other guitar. It was phenomenal! 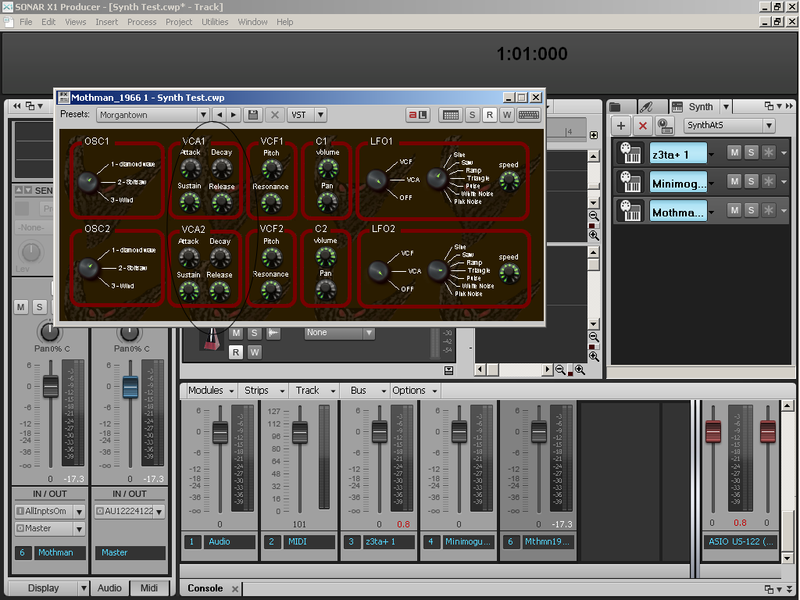 Imagine having individual control over each string having its own excusive output routed to a dedicated channel. Andres Segovia once said that the guitar is an orchestra unto itself. Joel’s hexaphonic pickup pushes that to a whole new level. I was very fortunate enough to have tried it for myself. It sounded crazy good with each string having a different position in the sound field starting with the low E string panned hard right and the high E string panned hard left. Since the pickup had a flat frequency response of 20 to 20,000 Hz, you could do all kinds of things with it and a parametric EQ. One of Joel’s intentions in developing this pickup is to disprove the idea that a full-range pickup is brittle sounding. Upon strumming my first chord on his guitar, I realized that he was right. Noodling with Joel’s Strat for a bit made me see all sorts of things that you can do with it. Some of the more basic things I thought I can do with it is faking an acoustic guitar with a solid-body electric (without the need for piezo saddles) and simulate any kind of pickup. That’s just the tip of the iceberg! Applying distortion to it while it is rigged in a hexaphonic manner was very interesting: full triads sounded very nice and very different. Rather than the aggressive high gain sound you usually expect from your typical humbuckers running into Marshall stack, it sounded more like a guitar orchestra. You could actually play your thirds with the gain all the way up to 10 without sounding harsh or dissonant. I could already imagine setting up six amps in a room or hall, surrounding both guitarist and audience, with each string’s signal going through each amp, exuding music like you’ve never heard before. An added bonus is that the pickup is so quiet even with distortion that the only thing a noise gate would do in this instance is to turn down the ambiance from the amp itself. Another thing currently in development is for this pickup to function as a sustainer. Once Cycfi Research finalizes the design of this pickup, I’m very sure that the serious musician will have to rethink about how to make a sound with a guitar. 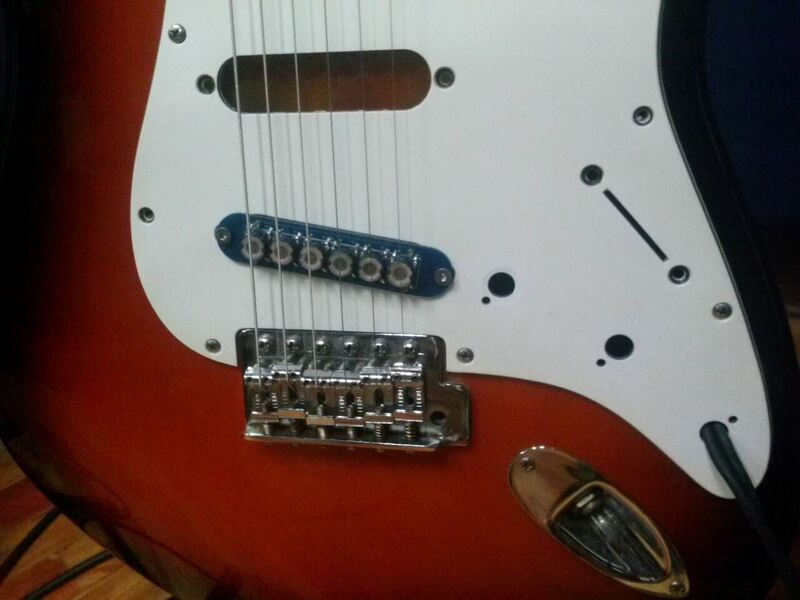 The question of single-coil versus humbucker would not matter with this kind of pickup. Rather than getting a pickup installed to give your guitar a certain kind of character, you can get the exact kind of voicing you want with this hexaphonic pickup by just using EQ. To cut the story short, I was very happy and honored to have met Joel. I hope that this will be the start of a mutually beneficial working relationship. More important than that is the fact that I have met a new friend who has the same sort of passion that I have for something new in music, finding ways to make music that’s really progressive. To find out more about Joel and his projects, visit http://www.cycfi.com. This version of Lenny Nabor’s “I Miss You” was interpreted by Shean Cleofas with arrangement by yours truly. I thought something that sounded like “Everything But the Girl” would suit the song well. If there would be one thing I’d change in this present recording would be the dynamics. The piano overpowers everything else. I’d also make some changes in the overall mix, should I be given the opportunity to do so. So, Lenny, if you’re reading this, I hope you give me a chance to mix it. I just need a copy of the vocal track. Apparently, Lenny has plans of working with me again on another song. I’m about to make a sample arrangement of a few bars for that new song. Let’s wait and see (and hear) what would happen next. Good day. This is Mark Galang with another post about music production in compliance with the requirements for the Berklee College of Music course called “Introduction to Music Production”, hosted for free by Coursera. In this post, I will discuss how to use the five most important synthesizer modules. These are your oscillator, filter, amplifier, envelope, and low frequency oscillator or LFO. For this tutorial, I will be using three kinds of software synthesizers namely RGC Audio’s Z3ta +1, MinimogueVA, and Mothman 1966. We can also consider this tutorial as a sort of crash course into subtractive synthesis. In any synthesizer (even those that play back samples), the oscillator is the sound source. It produces the waveform/s that you need to shape to produce the desired sound. The most basic parameter we get to control in an oscillator is the waveform selection. We usually have a number of waveforms to choose from including sine (fundamental frequency only), pulse waves such as square and triangle (fundamental frequency + odd harmonics), and sawtooth waves (fundamental + odd and even harmonics). The MinimogueVA (obviously modeled after the Minimoog) has a couple more parameters other than standard waveform selection. You can adjust the tuning and the register of the oscillator as well as apply an overdrive (distortion) effect. The Z3ta is the most complex of these softsynths. 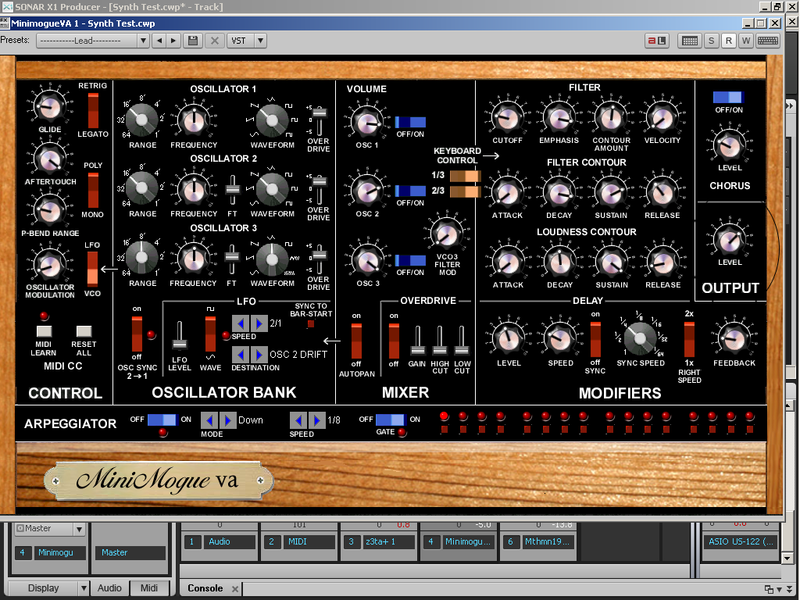 Its oscillator section has more choices for waveforms along with more parameters to shape them. There is even an option available for users to draw their own custom waveforms. More complex waveforms such as sawtooth can often sound harsh, and this is why a filter (more properly called voltage controlled filter or VCF) is present in all synthesizers. The filter functions much like an EQ except that in synthesizers, we can expect its parameters to change over a short period of time. The most common kind of filter in a synthesizer is a low-pass filter, the rationale being it is the best filter for cutting out brightness or harshness in the fastest way possible. In a synthesizer, the cutoff parameter is probably the most important. In a typical low-pass filter, raising the knob or slider for cutoff will raise the cutoff frequency meaning that you cut off less of the high frequencies and make the sound brighter. Lowering the cutoff knob will cut more high frequencies, making the sound of your oscillator darker. One of the fun things about using these synthesizers is when you are modulating the filter’s cutoff, either manually or through an LFO. Sometimes you may want the realtime use of the filter cutoff to be more obvious. This is where the resonance parameter can be very useful. Increasing the resonance will make your use of the filter more pronounced. When the resonance parameter is up to a particular level, some of the high frequencies seep through as you turn the cutoff knob or slider to either direction. Attack Time – The amount of time it takes for the signal to reach peak amplitude after a note on command (i.e. pressing a key). Decay Time – The amount of time it takes for the signal to reach the designated sustain level. Sustain Level – A designated amplitude level during the main sequence of the sound’s duration. The level of the sound after decay time has passed. Release Time – The amount of time it takes for the sound to go from sustain level to zero after a note off command. These parameters spell out conveniently as the acronym ADSR. By adjusting these parameters, we can emulate the responses of various instruments such as the organ, violin, brass, piano, etc. For example, the organ has a “switch” type of envelope, and so we would set attack to 0, decay to 0, sustain level to any amount desired, and release to 0. If we want the synthesizer to have a piano-like response where the note dies off slowly after pressing a key, we set attack to 0, have a long decay time of about a few seconds, and then set sustain level and release time to 0. If we want the sound to “swell”, we set the attack time above 0. Other than willfully adjusting all the parameters of our synthesizers with our hands, you can assign an LFO to do this for you in a cyclical manner. An LFO typically operates at a frequency below the threshold of hearing, typically at a repetitive pattern determined by the kind of waveform used and the rate at which the LFO operates. We can use the LFO to have control over the oscillator for vibrato effects, the amplifier for tremolo effects, and the filter for automatic filter sweeps. The Mothman’s LFO can be assigned to the oscillator or filter. You can select the waveform as well as adjust its speed. And so this ends a rather lengthy discussion about the five most important modules of any synthesizer. It took me quite a while to write this tutorial but I think I could improve on this tutorial through video and audio examples. As of this time, I’m not capable of capturing video for a demonstration. If time permits, I will record some audio examples that demonstrate the functions of each synthesizer module. Hello. My name is Mark Galang, and I’m here today to talk about riding the fader on a musical performance. This piece has been written in compliance with the peer-reviewed assignment requirement for the course “Introduction to Music Production” by the Berklee College of Music, hosted for free by Coursera.org. Nothing is more satisfying than hearing a musical performance by humans. However, as much as we’d like human performance to be perfect, it is far from from being one. While the quirks of a live performance may sometimes be tolerated, studio recordings usually are more demanding. Therefore we use a couple of processes here and there to somewhat address imperfections, and one of these techniques is riding the fader. 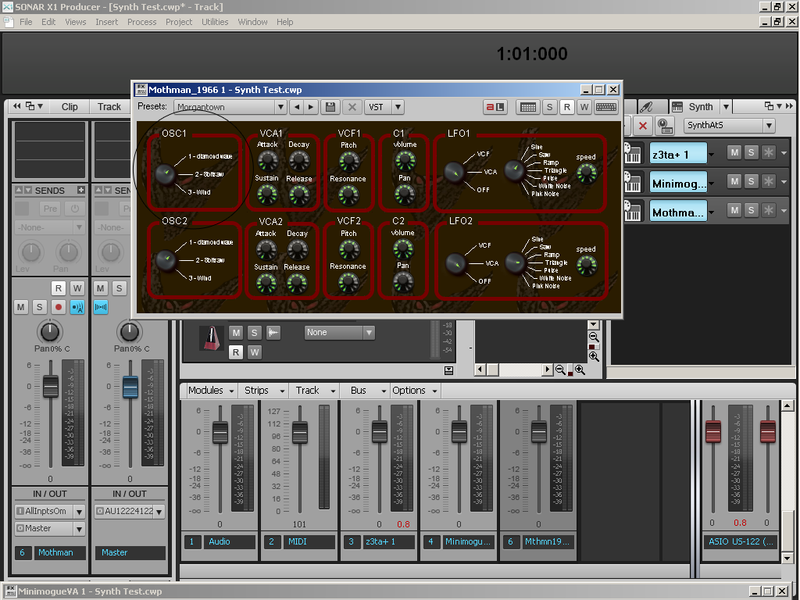 Riding the fader aims to Control dynamics over a recorded audio track in an effort to achieve some sort of balance I.e. to decrease volume of sections that are too loud and increase sections that are too soft. 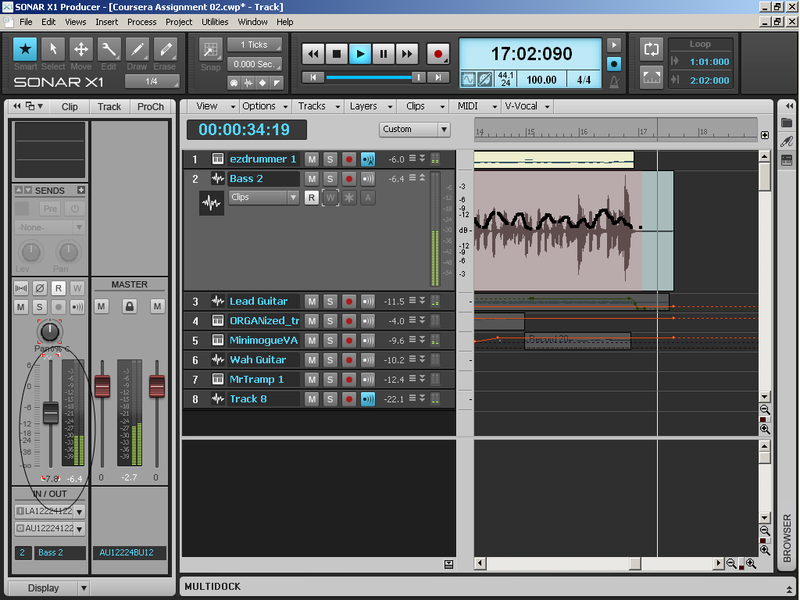 To demonstrate how to do this, I have opened up a project in Cakewalk Sonar 11, and I will be manipulating the bass track. To start riding the fader, I have to enable automation write first by clicking on the W button on the bass track. You’ll notice that it would turn red as soon as I click on it. 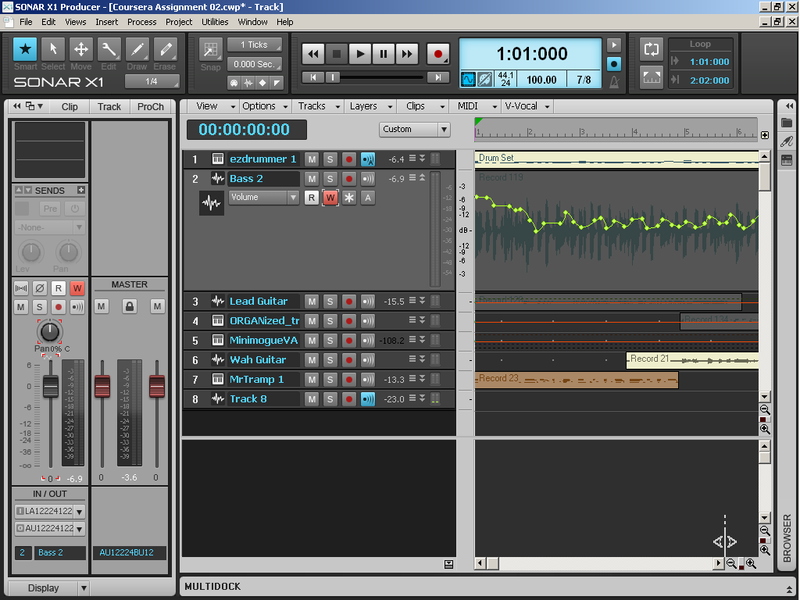 Once that’s been accomplished, I can now start recording automation once I press play or record. Let’s begin. 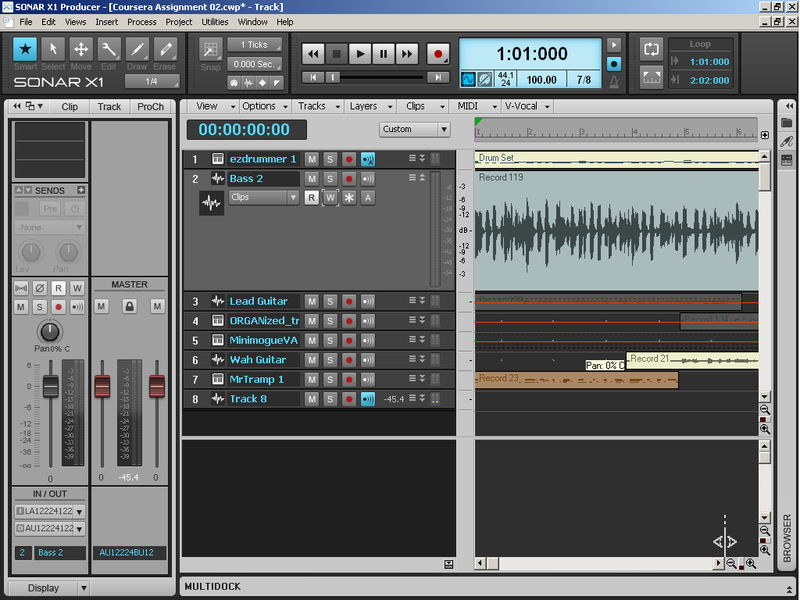 For this assignment, I have used the same project I recorded for the previous piece (How to Prepare a Project and Record Audio in a DAW). I selected the bass track for this particular task. To start actually recording volume fader movements (“riding the fader”), I clicked on the small button that looks like a “W”. It’s the automation write button. Once it turns red, I know that it has been enabled and I could then start recording fader movements after I hit the play or record button. I started playing back the project and then manipulated the volume fader so that Cakewalk Sonar would begin recording my fader movement. Generally, I try my best to follow the shape of the waveform to somewhat preserve the actual dynamics I recorded during performance. I was aiming to somewhat reduce the amplitude of sections I felt I had played too loud. Once I have recorded the volume fader movements, I can now see that Cakewalk Sonar has generated a volume envelope with nodes that I can move around. If I want to make adjustments to the envelope, I can just move the nodes either upwards to increase volume or downwards to decrease. Upon completing the task of riding the fader, I realized that it is far from perfect. I was just using the mouse to perform this task and I think I would have achieved better results if I had a control surface connected to my DAW. I think that it would take me a while to edit the nodes in the automation that I wrote. I was not happy with the result. In the end, I decided to scrap my work and I would try another time to ride the fader (or perhaps use a compressor plugin). I do think that riding the fader is a skill that takes as much precision as playing an instrument. It demands careful listening and practice to achieve good results without resorting to editing the envelope later. I’m not surprised that compressors were developed to automate this process. I hope that this short piece has helped you in understanding how to control dynamics in musical recordings through riding the fader. If you have any comments, feedback or constructive criticism for me regarding this post, please let me know. I would be happy to read them as I would like to further improve myself. Thank you very much for your time and attention. Just last week, my wife and I bought a new iPad from one of the shops at the SM Mall of Asia. I had been contemplating about getting a tablet computer or e-book reader for years given the advantages they have. I always thought that I could at the very least have one as a library or sheet music stack on the go. Upon getting an iPad, it opened up a whole new world to me. The first thing about the iPad that was obvious to me was that I can use it as a musical instrument. This is due to Jordan Rudess’s influence, having seen him on many Dream Theater videos that feature the iPhone and then the iPad as an alternative to his Haken Continuum. Taking cue from that influence, my first app purchase was Wizdom Music’s Tachyon and MorphWiz. These two apps simply blew my mind away as it transformed my iPad into a new musical instrument, sort of like a fretless instrument with more controls. More toys for me to make a noise with then. The second obvious application for the iPad was as a sheet music reader. I have plenty of sheet music in PDF format and so I got Adobe Acrobat Reader installed in the tablet, loaded up some of my sheet music in it, and there I go. I now have most of my sheet music with me in just a small package. No more folders or extra envelopes to bring with me then. Reading all over the web, I realized that I can do more with it that those things I’ve mentioned. I have GarageBand in my iPad so theoretically I can perform multitrack audio and MIDI recordings with it. I have most of the things required to make that happen such as a couple of keyboards (from the massive Kurzweil PC88 to the Korg Nanokey), my trusty Technics digital piano, some guitars, and my Zoom H4n recorder. All I lack now is the digital camera connection kit for the iPad (essentially an iPad port to USB adapter). Since the Zoom H4n and the Korg Nanokey has been confirmed to work with the iPad, if I get that connector then boom! A recording studio on the go that’s more mobile than my laptop rig. Since I’m a music transcriber, I’ve also thought about how the iPad would work as a scorewriter. It’s unfortunate that Sibelius for iPad hasn’t been written yet. However, there’s Symphony Pro and Notion for iPad. Since I’ve been reading reports about how both iPad scorewriters are prone to crashing, I held off the decision to purchase one or the other. The iPad’s WiFi connectivity can turn it into a remote control surface for DAWs like Sonar, Logic Pro, Cubase, etc. This I haven’t tried yet but I’m assuming that it would be a good alternative to getting an actual control surface. I would have to admit though that nothing beats the actual hardware. But if you’ve got an iPad, it maybe worth trying out. Having spent only a few days with the iPad, I now have an understanding of why a number of musicians prefer to use the iPad, iPhone, Mac Books and other Apple products for their music production needs. It’s easy to use, and it’s already optimized. I didn’t need to do any tweaks of sort to get things like MorphWiz running. With my PC-based music production gear, I had to spend hours tweaking various aspects of it to get them running smoothly. The big turn off for Apple products is the price. The iPad is not cheap, though I got mine lower since the New iPad just got released and I got the iPad 2. If I’ve already seen that much from just spending a few days with the iPad, I suppose there’s still a lot of exciting things for me to look forward to as this new device helps me in creating new music. For the very, very few who have been following me and my journey through music, this is now my new web site. You might have visited chromaticism.webs.com or sterilium.tk before, my previous web avenue. From here on, the latest things going on in my career as a composer, sound designer and musician get covered here.